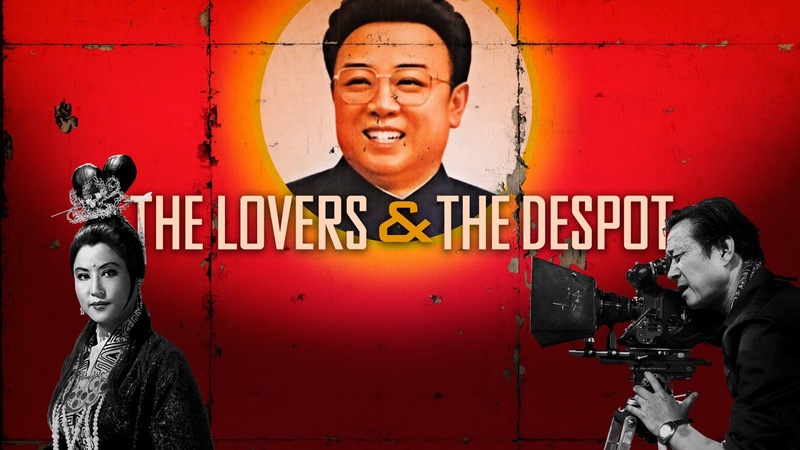 The Lovers and the Despot is a documentary based on real life events so unbelievable they may strike the ear as nothing more than fantastical flights of fancy. Yet, sadly, this film continues the recent trend of non-fiction cinema in applying the most rote of frameworks to render even the most exciting of subjects rather dull. The tale, as brought to life with verve and kinetic energy in Paul Fischer's fantastic book A Kim Jong-Il Production, focuses on the events which saw the kidnapping of one of South Korea's most legendary film directors and his estranged wife by the North Korean government. The project, apparently overseen by the future leader of the Democratic People's Republic of Korea himself, was to re-energise the communist nation's film industry with the newly repatriated Shin Sang-ok and Choi Eun-hee at the helm. Along the way, the trio would be involved in some remarkable pieces of cinema and, in Pulgasari, one of the most appalling derivations of Godzilla imaginable. Whilst the story of star-crossed lovers, reacquainted with one another in the most unimaginable of ways, and an eccentric demagogue obsessed with cinema makes for the potential of a classic movie, the reality here is rather underwhelming. The Lovers and the Despot manages to add nothing new to Fischer's in-depth book whilst the film itself unfolds with a lack of intensity and agency. The romance, the action, the horror, the excitement are all enveloped within a formulaic talking heads set-up which suffocates any sense of real energy or innovation. For fans of Korean cinema history, The Lovers and the Despot acts as a stilted companion piece to already available literature, whilst for strangers to the scene, its hard to imagine that this film will truly excite or inspire. Little is done to really show how Shin was both a commercial and critical darling in South Korea - how there's a case to be made for him being one of the most overlooked film-makers in Asian movie history. The strength of the doc, however, come in the form of Choi Eun-hee's testimony - one of the stars of Korea's Golden Age, she can still be depended upon as a performer. She recalls Shin's infidelity and their time apart as she delivers the line of the movie: "He was my husband once. I missed him and I hated him". This viewer wishes their was this level of raw passion to be found elsewhere in The Lovers and the Despot.